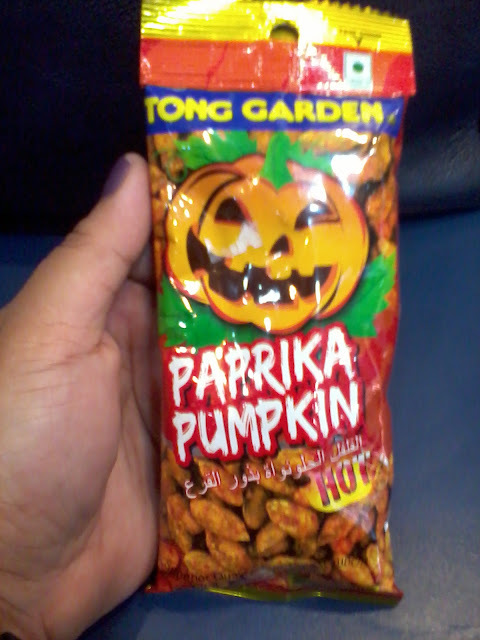 I'm craving for some Butong Kalabasa or better yet known as PUMPKIN SEEDS! "Superior Quality Fun Time Crunch! Fit 4 Active Lifestyle"
Hey Coffeeholics! It's been a while since I've posted about food and well I'd just like to share to you guys my latest Snack Addiction - Salted Pumpkin Seeds! 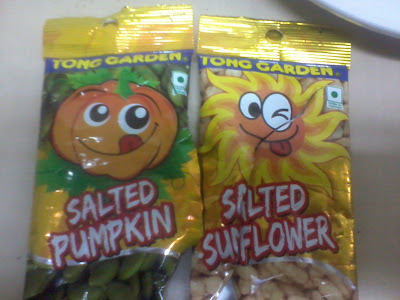 Actually, last month I've been really hooked into Tong Garden's Salted Pumpkin Seeds, Salted Sunflower Seeds, and even the Paprika (hot and spicy!) version of these snacks. You know how addicting "butong pakwan or butong kalabasa" can be? Well this will definitely satisfy your craving! The best part of this snack is that all you have to do is just pop it in your mouth. Wala ng babalatan pa. :) Hehehe. Instant gratification. No more mess. The Cartoon Pumpkin and Sun suddenly reminds me of Plants Vs. Zombies. hehehe!